The newest Transformers Movie is in theaters today with the official mass release of Transformers: Bumblebee. That however is a prequel, showing bee in his iconic 80’s style VW Beetle form. The last time we saw Bumblebee in current times he was rocking a sleek modded version of the 6th gen Camaro from Chevrolet in Transformers The Last Knight. 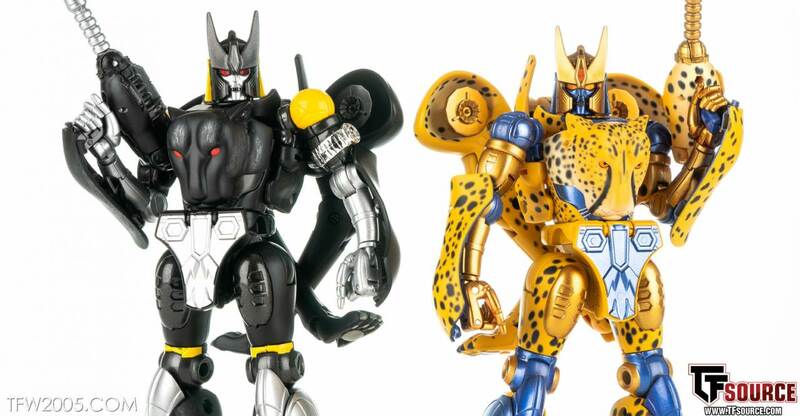 3A, known for their high end, large scale figures have been doing Transformers figures since 2015. While they don’t transform, they are extremely accurate to the movie model and feature a massive amount of sculpt and painted detailing. And they’re big! 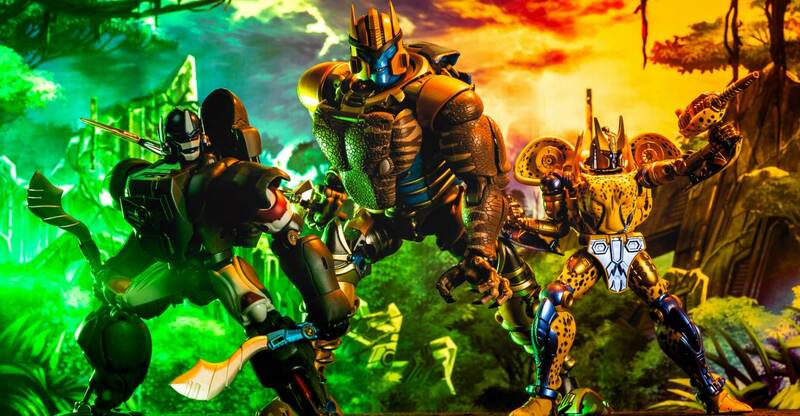 Today we are taking a look at 3A’s version of TLK Bee, which should be shipping en mass to retailers world wide soon after an initial run a couple months ago. Since today is a Bee kinda day, we hope you enjoy the gallery (I had a lot of fun shooting it!). Make sure to stop by the 2005 Boards after you see the new movie and let us know what you think! The fandom has been overall positive about the film (including me!) and we hope you feel the same. Sound off either way here! And yes, 3A will be doing figures based on the new movie in multiple sizes! Read on to check out over 70 HD images showing what this masterpiece can do and how he’d fit in to your collection! 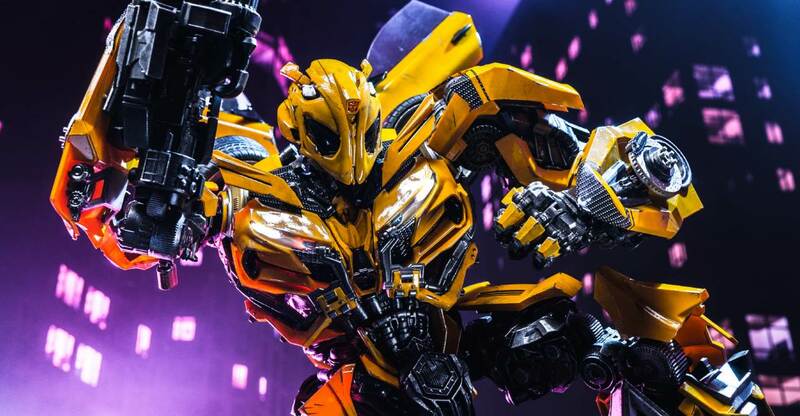 Bumblebee Movie Early Screenings Tonight – Let’s Celebrate With G1 Bee Pics! Tonight’s the night! 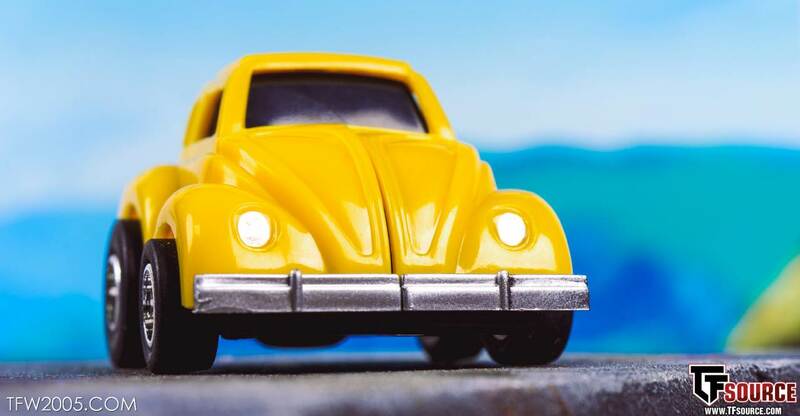 The Bumblebee Movie officially hits theaters for it’s early screenings in the United States tonight. As the night progresses – sound off on your thoughts in our ongoing Bumblebee Movie Discussion Thread. This will contain spoilers galore, and is mainly designed for those who have seen the movie. You can also bounce around the entire Movie Forum for more focused topics. We’ll do our best to keep spoilers out of titles, but if you are sensitive to that, keep clear! To celebrate the new movie, I ran the OG that started it all – a G1 Bumblebee toy – through a gallery session. 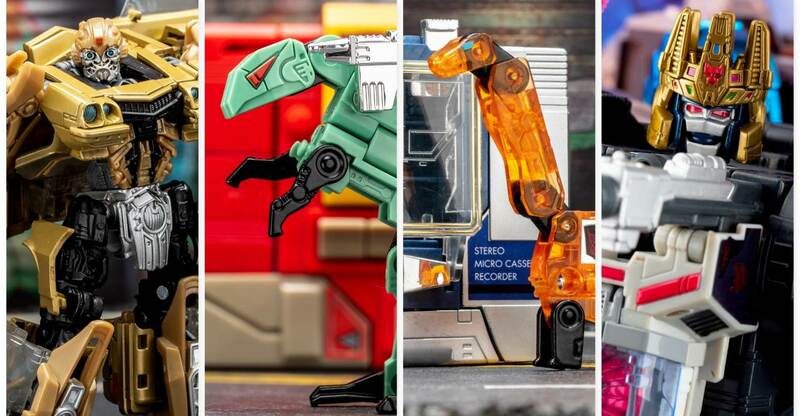 This is the 2018 Legion Class reissue from Hasbro. He dropped earlier in the year via Wal-Mart but disappeared quick. Luckily site sponsor TFSource got some additional stock in and my copy showed up this morning, it must be fate! There isn’t much to him but awesomeness so enjoy the 30 couple shots after the break. See you guys in a couple hours for Bee movie talk! Masterpiece Releases: MPM7 Bumblebee, MP-17+ Prowl, MP-29+ Shockwave, MP-36+ Megatron, MP-20+ Wheeljack, Masterpiece Pre-Orders. Celebrating the last three years of Generations releases, the Prime Wars Trilogy of figures were some excellent and on the whole well-received releases that celebrated Combiner Wars, Titans Return, and Power of the Primes. The Power of the Primes part of these exclusive releases was jewel in the crown, Punch / Counterpunch! 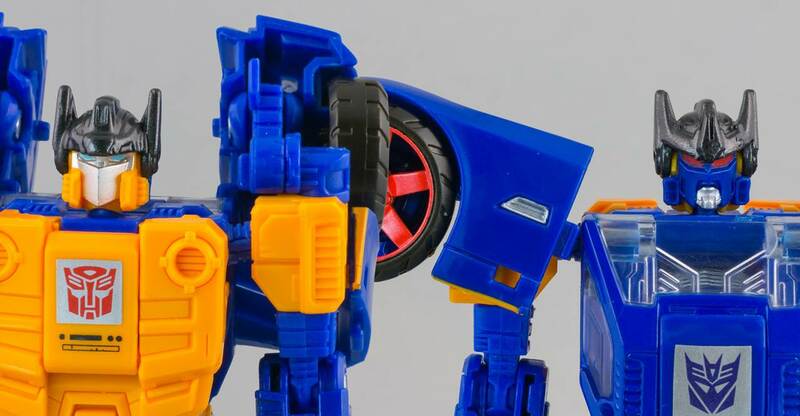 A completely new mold, Punch / Counterpunch is a faithful recreation of the original toy’s doublespy gimmick – so he can transform into both his Autobot and Decepticon identities, and each one looks distinct from the other thanks to some clever transformation steps on the shoulders. The transformation does mean Punch’s shoulders can look a little awkward from some positions, plus the shoulder pegs for Punch mode are flawed in their design (being too big for their sockets). The legs also feel a bit flat, being just solid blocks made from the back of the car especially in Punch mode, but it is overall a successful release that easily trumps the previous homage to the character. The bonus Prima Prime is a nice way to get an extra Prime Master out there – but looking at this one (and Solus Prime from Repgnus) I’m left thinking – was this a missed opportunity to celebrate IDW’s Hasbroverse and throw in a ROM Spaceknight homage? Overall – one of the most interesting toys of the year who might justifiably appear on a few top five lists, but let down by some design choices that may make him miss out on the top spot on some lists. Have you #JoinTheBuzz-ed yet? 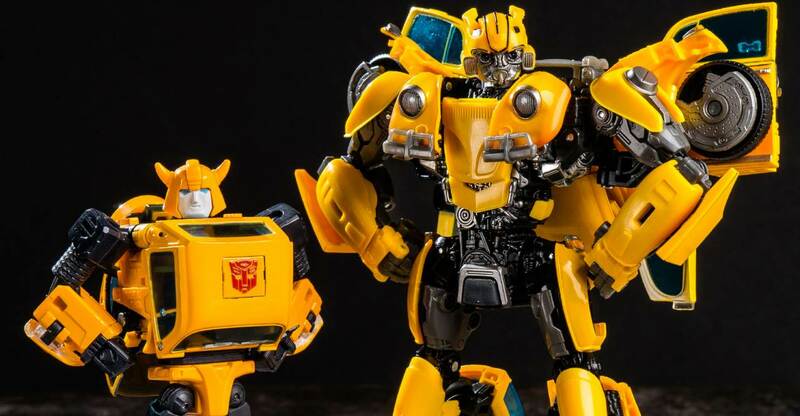 Well, there is a swarm of Bee related merch about to attack the shelves, and today we are taking a look at the higher end of that colony – MPM-7 Masterpiece Bumblebee. This is the MP scale version of Bee, complete with Volkswagen Beetle alt mode. He comes decked out in a sunset yellow color scheme with a gradient up from the bottom in car mode. Die-cast is significant throughout, he’s a densely packed stout little bot. Accessories include his hand cannon, battle mask and arm sword. His Beetle light chest plates flip up to unleash missile barrages too! All in all it’s a solid release, and a perfect way to rep the new movie in a singular fashion. Bumblebee movie, high end Bee, done. Toss in a little G1 nostalgia with the VW alt mode and it’s a winner. We’ve run him through his paces, hit the link below to check out over 55 HD images! Masterpiece Releases: MPM7 Bumblebee, MP-17+ Prowl, MP-29+ Shockwave, MP-36+ Megatron, MP-20+ Wheeljack, MP-42 Cordon, Megatron, Masterpiece Pre-Orders. Transformers Siege is here – and with it an all-new Megatron for our collections. Siege Megatron is a part of Voyager Wave 1 with Optimus Prime, and is designed to homage the look of Megatron as he appeared in the original Generation 1 cartoon. We’ll be taking a detailed look at Megatron along with sharing our first impressions of the Siege line as a whole based on this first release, but for those who want us to cut to the chase, the short version is he’s good. Real good. Not perfect, but what is? Read on for the detailed thoughts. 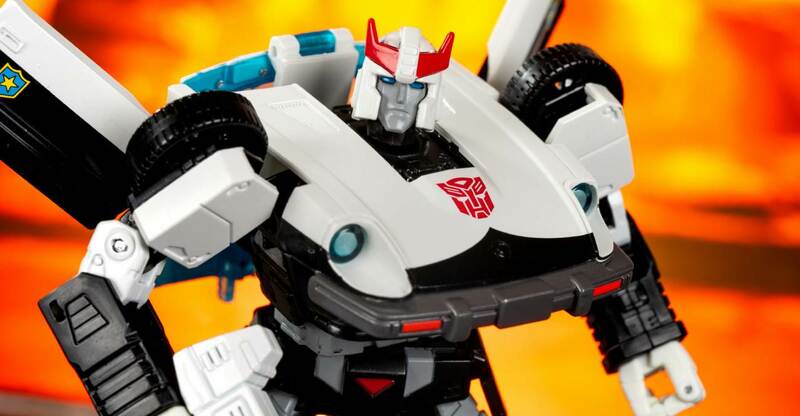 Time for a look at the latest Masterpiece Transformers figure to drop – MP-17+ Prowl. This is a repaint of the original figure into anime colors, giving him a closer look to the 80’s cartoon we all know and love. The key differences are a bigger Autobot symbol on the hood, lack of police branding on the doors, blue windows and headlights, gray bumpers, non-metallic face, and a white gun. He also comes with the shoulder canons lacking from the original release. All in all it’s a sharp release, and one I prefer to the original. Everyone has their preference, and I’ve been leaning towards these anime inspired ones. Check it out below, you can compare with the original version here and decide for yourself! He’s in stock now and shipping from TFSource! 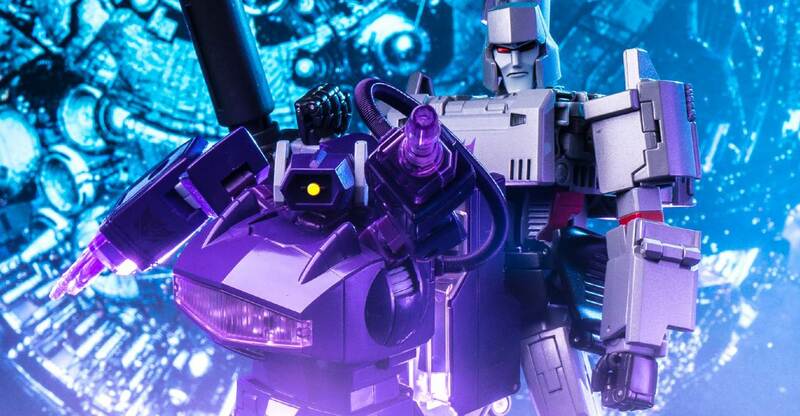 Masterpiece Releases: MP-17+ Prowl, MP-29+ Shockwave, MP-36+ Megatron, MP-20+ Wheeljack, MP-42 Cordon, MP12+ Anime Sideswipe, Megatron, Masterpiece Pre-Orders.